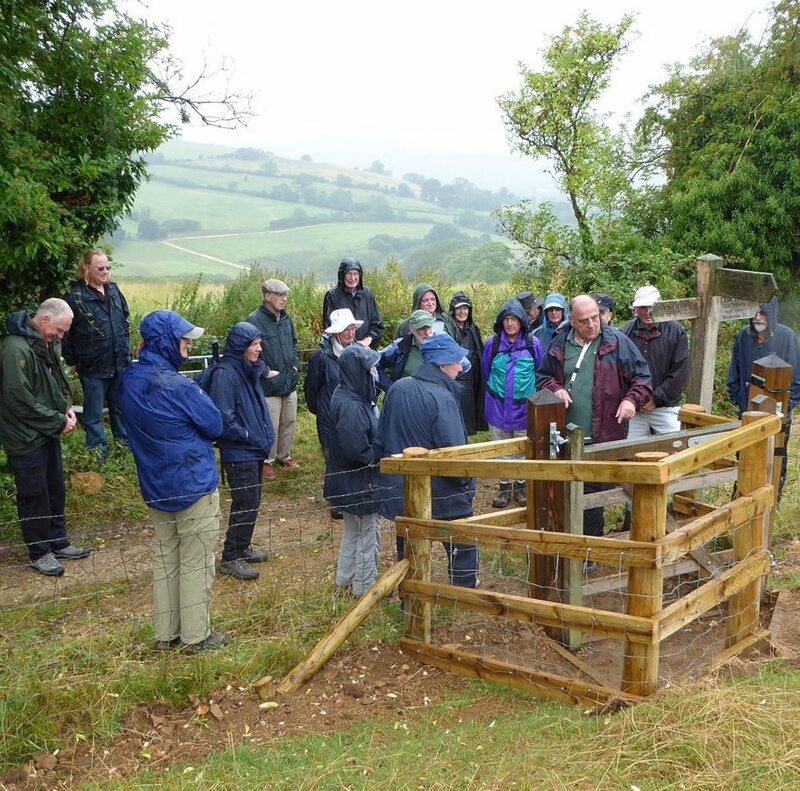 Our first project in July 2016 consisted of replacing a stile with a friendly kissing gate above Hailes near Winchcombe. After a long climb up the track from Hailes Abbey towards Farmcote one did not relish climbing over a reasonably high stile. supplied the labour we have greatly improved access along a section which gains a considerable height. When you walk the section of the Cotswold Way and come across the plaque on the kissing gate please think of us and how you could help future walkers by supporting us. 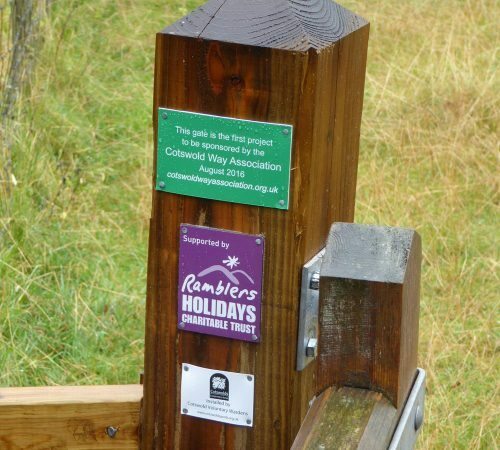 When you walk the section of the Cotswold Way and come across the plaque on the kissing gate please think of us and how you could help future walkers by supporting us.